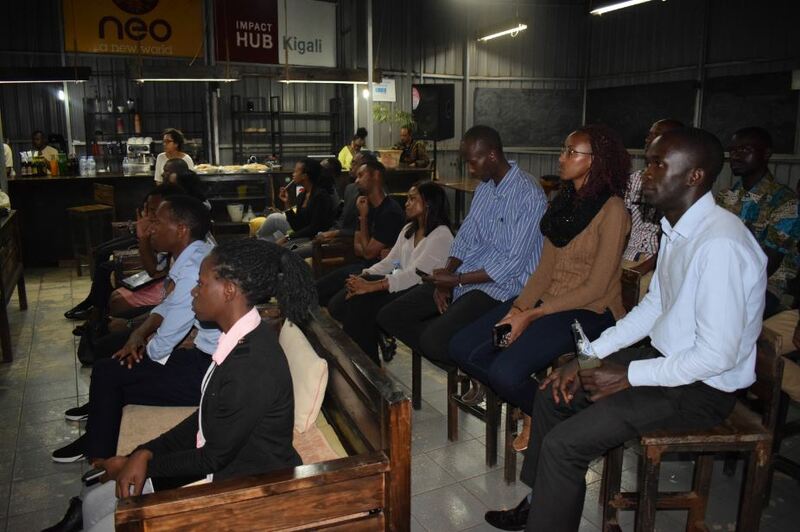 Challenges Group-Rwanda an international development consulting organization has launched a certified training programme in which young Rwandan entrepreneurs will be trained by other successful entrepreneurs. The launch event was unveiled this Wednesday at the celebrations to mark Challenges Group 20 years of operations globally and at least six years in Rwanda. The programme accredited to UK Chattered Management Institute (CMI) will have its operation in Kigali offering tailored courses including information based decision making, risk management and financial and project management and leadership among others. Neil Walker, the Challenges Rwanda Country Manager says that the programme comes as a response to Rwanda’s international recognized growing ecosystem of entrepreneurs, innovators and young managers who need skills besides the appetite to start a business. “The training will ensure that those employed and occupying positions of responsibility get the right skills to be in that position to make entrepreneurs effective business owners and managers,” said Neil Walker. The youth entrepreneur focused training is also currently provided by Business Development Fund (BDF) but this time trainees will get globally recognized diplomas and certificates. “Besides the international accreditation, we will be using a training model of using other already successful entrepreneurs and consultants, who can make the training relatable to this environment they are in,” Walker said. Walker noted that registration are open and the CMI course will be conducted at any place of convenience, at work, home, online and each trainee will be required to pay Rwf500,000 for a course which can be done on a crash programme up to three days or months. This cost could be brought down depending on the number of persons interested in taking a CMI course, but the initial payment of the course is met by Challenges Group Rwanda. In collaboration with the Scottish government through the Coffee Market Building for People project Challenges Rwanda has already offered management training modules to eight coffee farmers’ cooperatives (with 80,000 farmers) as a way of addressing management issues in agricultural enterprises. “This is one way of making the training relevant, not only working with entrepreneurs but addressing issues of farmers,” Walker said. Challenges Group has for the past years worked with over 70 small and medium size business (smes) in Rwanda and 6000 companies in sub-Saharan Africa- Ghana Malawi Rwanda, Zambia and Uganda. To push its development agenda in Rwanda the organization plans to increase market access for international organization interested in extending their programmes to Rwandans. Through its Access Africa programme, Challenges Rwanda has supported social enterprises like Elpis solar- an Edinburg university student’s project to extend free solar charger kiosks for Burundian refugees in Mahama camp since 2018. The project aim was to give hope to refugees and to connect to their families because there is no electricity in camps. “This is a pilot project but we plan to scale up the project throughout all refugee camps in Rwanda and currently Elpis solar is looking for funding to make this happen,” said Fidele Gisore, the Access Africa programme coordinator.